The desire of improved palatability in orally administered products has prompted the development of numerous formulations with improved performance and acceptability. Orally disintegrating tablets are an emerging trend in novel drug delivery system and have received ever-increasing demand during the last few decades. The field has become a rapidly growing area in the pharmaceutical industry and gaining popularity due to ease of administration and better patient compliance especially for geriatric and pediatric patients. ODTs are solid unit dosage forms, which disintegrates or dissolves rapidly in the mouth without chewing and water. This type of property in dosage form can be attained by addition of different excipients, from which disintegrant is the key adjuvant. In recent years, several newer agents have been developed known as superdisintegrants. Diverse categories of superdisintegrants such as synthetic, semi-synthetic, natural and co-processed blends etc. have been employed to develop effectual mouth dissolving tablets and to overcome the limitations of conventional tablet dosage forms. The objective of the present article is to highlight the various kinds of superdisintegrants along with their role in tablet disintegration and drug release, which are being used in the formulation to provide the safer, effective drug delivery with patient compliance. This review focuses on various synthetic superdisintegrants, natural superdisintegrants from different plant sources, co-processed excipients blend and their efficiency. INTRODUCTION: Oral drug delivery remains the preferred route for administration of various drugs 1. Solid dosage forms are popular because of ease of administration, accurate dosage, self-medication, pain evasion and most importantly the patient compliance 2. However, traditional tablets and capsules have emerged as inconvenient or unfeasible for some geriatric patients because of changes in various physiological and neurological conditions linked with ageing including difficulty in swallowing, hand tremors, weakening in their eyesight, hearing, memory, risk of choking other than change in taste and smell. Solid dosage forms pose difficulty for swallowing in patient groups such as children, mentally retarded, uncooperative, nauseated, or on reduced liquid intake diets 3, 4. In addition, for travelling patients who do not have immediate access to water, limit utility of orally administered conventional tablets or capsules 5. Therefore, recent advancements in novel drug delivery systems have resulted in a convenient dosage form for administration and to achieve better patient compliance known as fast dissolving tablets (FDTs). FDT is solid unit dosage form containing a medicinal substance that disintegrates rapidly and dissolves in the mouth as soon as they come in contact with saliva without the need of water or chewing 6. The faster the drug into solution form, quicker the absorption and onset of clinical effects. Some drugs are absorbed from the mouth, pharynx and esophagus as the saliva passes down into the stomach. A fraction of pregastric drug absorption may bypass the digestive system and metabolism by the stomach acids and enzymes. In such cases, bioavailability of drug is significantly greater than those observed from conventional tablet dosage form 7, 8. The mouth dissolving solid dosage form turns into a soft paste or liquid form on administration. This kind of property in dosage form can be added by inclusion of right disintegrants which play key role in formulation of mouth dissolving tablets. Addition of disintegrants in fast dissolving tablets, leads to quick disintegration of tablets and hence improve dissolution 7, 9. As disintegration plays an important role in a tablet’s dissolution before the active drug substance is finally released from the tablet’s structure into the body therefore type, concentration, and efficiency of disintegrants to a large extent affects the disintegrant properties (e.g., disintegration time [DT] and the ratio of crushing strength–friability to disintegration time [CSFR/DT]) of formulated tablet 10. Researchers these days are looking for a new, safe and effective disintegrating agents which can disintegrate tablets rapidly even at a tablet crushing strength of greater than 3.5 Kg. On analyzing the behavior of disintegration time in the oral cavity as well as wetting time by surface free energy we came to know, that for a faster wetting a molecule should have high polar component of surface free energy and the agents which meet these special requirements are called as superdisintegrants 11. The ease of availability of these agents and the simplicity in the direct compression process suggest that their use would be a more profitable alternative in the preparation of ODT than the sophisticated and patented techniques 12. Accurate dosing: Being unit solid dosage form, provide luxury of accurate dosing, allows high drug loading and an ideal alternative for paediatric and geriatric patients. Fast action: Fast onset of therapeutic action as tablet gets disintegrated rapidly along with quick dissolution and absorption in oral cavity. Hence, it is beneficial in cases such as motion sickness, sudden episodes of allergic attack or coughing. Enhanced bioavailability: Pregastric absorption of drugs result in improved bioavailability and as a result of reduced dosage; improved clinical performance. Patient compliance: No need of water to swallow the dosage form. Hence, it is convenient for traveling patients and busy people who do not have immediate access to water. Ease of administration: Convenient to administer specially for geriatric, paediatric, mentally disabled and uncooperative patients who have difficulty in swallowing. Obstruction free: No risk of suffocation in airways due to physical obstruction when swallowed, thus providing improved safety and compliance. Improved palatability: Leaves minimal or no residue in mouth hence provides good mouth feel and also, taste masking technique is used to avoid the bitter taste of drug. Good stability: Has good stability because of less sensitivity to environmental conditions. Simple packaging: It can be packaged in push through blisters. Hence, no need of specific packaging. Business avenues: Provide new business opportunities in the form of product differentiation, product promotion, line extension, uniqueness and life cycle management. Cost effective: Proves to be cost effective due to lower production, packaging and distribution cost compared to other commercially available products. Versatile technology: As this technology is versatile therefore suitable for the development of enhanced products for veterinary medicines, OTC, Rx medicines. Several processes employed in formulating ODTs include freeze-drying, direct compression, cotton candy process, molding, spray drying, sublimation, mass extrusion, nanonization, compaction and fast dissolving films. Direct compression represents the simplest and most cost effective tablet manufacturing technique. This technique can now be applied to preparation of ODT because of the availability of improved excipients especially superdisintegrants and sugar based excipients. Superdisintegrants: Disintegrating agents are substances routinely included in the tablet formulations to aid in the break-up of the compacted mass into the primary particles to facilitate the dissolution or release of the active ingredients when it is put into a fluid environment. They endorse moisture penetration and dispersion of the tablet matrix. The major function of disintegrants is to oppose the efficiency of the tablet binder and physical forces that act under compression to structure the tablet. Recently new materials termed as “superdisintegrants” have been developed to improve the disintegration processes 2, 20. Superdisintegrants are another version of super-absorbing materials with tailor-made swelling properties. These materials are not planned to absorb significant amounts of water or aqueous fluids, but planned to swell very fast. Superdisintegrants are used as a structural weakener for the disintegrable solid dosage forms. They are physically dispersed within the matrix of the dosage form and will expand when the dosage form is exposed to the wet environment 21. These newer substances are more effective at lower concentrations with greater disintegrating efficiency and mechanical strength 19. Superdisintegrants are generally used at a low level in the solid dosage form, typically 1 - 10 % by weight relative to the total weight of the dosage unit 20. Their particles are generally small and porous, which allow for rapid tablet disintegration in the mouth without an objectionable mouth-feel from either large particles or gelling. The particles are also compressible which improves tablet hardness and its friability 21. Effective superdisintegrants provide improved compressibility, compatibility and have no negative impact on the mechanical strength of formulations containing high-dose drugs 2. Generally, one gram of superdisintegrant absorbs 10-40 g of water or aqueous medium. After absorption, swelling pressure and isotropic swelling of the superdisintegrants particles create stress concentrated areas where a gradient of mechanical properties will exist due to which whole structure will break apart as shown in fig. 1 21. Good moulding and flow properties. No tendency to form complexes with the drugs. It should also be compatible with the other excipients and have desirable tableting properties. Although some are better than others, the currently marketed superdisintegrants exhibit an optimum combination of properties. Internal Addition (Intragranular) - In Internal addition method, the disintegrant is mixed with other powders before wetting the powder mixtures with the granulating fluid. Thus the disintegrant is incorporated within the granules. External Addition (Extragranular) - In external addition method, the disintegrant is added to the sized granulation with mixing prior to compression. Partly Internal and External- In this method, part of disintegrant can be added internally and part externally. This results in immediate disruption of the tablet into previously compressed granules while the disintegrating agent within the granules produces additional erosion of the granules to the original powder particles. The two step method usually produces better and more complete disintegration than the usual method of adding the disintegrant to the granulation surface only. Swelling: Although water penetration is a necessary first step for disintegration, swelling is probably the most widely accepted mechanism of action for tablet disintegrants. Particles of disintegrants swell on coming in contact with suitable medium and a swelling force develops which leads to break-up of the matrix. Tablets with high porosity show poor disintegration due to lack of adequate swelling force. On the other hand, sufficient swelling force is exerted in the tablet with low porosity. It is worthwhile to note that if the packing fraction is very high, fluid is unable to penetrate in the tablet and disintegration is again slows down. Porosity and capillary action (Wicking): Effective disintegrants that do not swell are believed to impart their disintegrating action through porosity and capillary action. Tablet porosity provides pathways for the penetration of fluid into tablets. When we put the tablet into suitable aqueous medium, the medium penetrates into the tablet and replaces the air adsorbed on the particles, which weakens the intermolecular bond and breaks the tablet into fine particles. Water uptake by tablet depends upon hydrophilicity of the drug/excipient and on tableting conditions. For these types of disintegrants maintenance of porous structure and low interfacial tension towards aqueous fluid is necessary which helps in disintegration by creating a hydrophilic network around the drug particles. Fig. 2 shows the disintegration of tablet by swelling and wicking mechanism. Heat of wetting: When disintegrants with exothermic properties get wetted, localized stress is created due to capillary air expansion, which aids in disintegration of tablet. This explanation, however, is limited to only a few types of disintegrants and cannot describe the action of most modern disintegrating agents. Chemical reaction (Acid-Base reaction): The tablet is quickly broken apart by internal liberation of CO2 in water due to interaction between tartaric acid and citric acid (acids) with alkali metal carbonates or bicarbonates (bases) in presence of water. The tablet disintegrates due to generation of pressure within the tablet. Due to liberation in CO2 gas, the dissolution of active pharmaceutical ingredients in water as well as taste masking effect is enhanced. As these disintegrants are highly sensitive to small changes in humidity level and temperature, strict control of environment is required during preparation of the tablets. The effervescent blend is either added immediately prior to compression or can be added in two separate fraction of formulation. Particle Repulsive Forces: This is another mechanism of disintegration that attempts to explain the swelling of tablet made with non-swellable disintegrants. According to Guyot-Hermann’s particle-particle repulsion theory, water penetrates into tablet through hydrophilic pores and a continuous starch network is created that can convey water from one particle to the next, imparting a significant hydrostatic pressure. The water then penetrates between starch grains because of its affinity for starch surfaces, thereby breaking hydrogen bonds and other forces holding the tablet together. The electric repulsive forces between particles are the mechanism of disintegration and water is required for it. 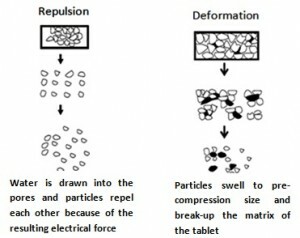 Deformation Recovery: Deformation recovery theory implies that the shape of disintegrant particles is distorted during compression and the particles return to their pre-compression shape upon wetting, thereby this increase in size of the deformed particles causing the tablet to break apart. Such a phenomenon may be an important aspect of the mechanism of action of disintegrants such as Crospovidone and starch that exhibit little or no swelling. Fig. 3 illustrates the repulsion and deformation mechanism in tablet disintegration. By Enzymatic Reaction: Enzymes present in the body also act as disintegrants. These enzymes dearth the binding action of binder and helps in disintegration. Due to swelling, pressure is exerted in the outer direction that causes the tablet to burst or the accelerated absorption of water leads to an enormous increase in the volume of granules to promote disintegration. Some examples of disintegrating enzymes are presented in table 1 along with the binders against which these are active. It is believed that no single mechanism is responsible for the action of most disintegrants. But rather, it is more likely the result of inter-relationships between these major mechanisms. Since from last many years there is more development in the manufacturing processes of mouth dissolving solid dosage forms including changing the process of tablet preparation by wet granulation to direct compression. It requires the development of various functionality excipients, especially superdisintegrants, which are used to achieve formulations with desired end effects 25. Nowadays, various kinds of superdisintegrants like synthetic, natural and co-processed blends are used in the mouth dissolving drug delivery system. This article highlights the characteristics and effectiveness of various available superdisintegrants from different sources. Synthetic Superdisintegrants: Synthetic super- disintegrants are frequently used in tablet formulations to improve the rate and extent of tablet disintegration thereby increasing the rate of drug dissolution. The most widely used synthetic superdisintegrants are illustrated below. Cross-linked polyvinyl Pyrrolidone (Crospovidone): Unlike other superdisintegrants, which rely principally on swelling for disintegration, crospovidone use a combination of swelling and wicking. Due to its high crosslink density, crospovidone swells rapidly in water without gelling. Crospovidone particles are found to be granular and highly porous which facilitates wicking of liquid into the tablet and particles to generate rapid disintegration 26. Larger particles provide a faster disintegration than smaller particles 27. Crospovidone disintegrants are highly compressible materials as a result of their unique particle morphology 26. Crospovidone can also be used as solubility enhancer. It is available in two particle sizes in the form of Polyplasdone XL and Polyplasdone XL-10. Croscarmellose Sodium: It is an internally cross linked polymer of carboxymethyl cellulose sodium. It has high swelling capacity with minimal gelling resulting in rapid disintegration 26. Due to fibrous structure, croscarmellose particles also show wicking action 29. In tablet formulations, croscarmellose sodium may be used in both direct compression and wet-granulation processes. When used in wet-granulation, the croscarmellose sodium should be added in both the wet and dry stages of the process (intra- and extra-granularly) so that the wicking and swelling ability of the disintegrant is best utilized 28, 29. Sodium Starch Glycolate: Sodium Starch Glycolate is the sodium salt of a carboxymethyl ether of starch. These are modified starches made by crosslinking of potato starch as it gives the product with the best disintegrating properties 31. The degree of cross-linking and substitution are important factors in determining the effectiveness of these materials as superdisintegrants 30. The effect of the crosslinking is to reduce both the water soluble fraction of the polymer and the viscosity of dispersion in water. The natural predried starches swell in water to the extent of 10-20 percent and the modified starches increase in volume by 200-300 percent in water. The mechanism by which this action takes place involves rapid absorption of water leading to an enormous increase in volume of granules that result in rapid and uniform disintegration. These are available as explotab and primogel which are low substituted carboxy methyl starches 24. The effect of introduction of the large hydrophilic carboxymethyl groups is to disrupt the hydrogen bonding within the polymer structure. This allows water to penetrate the molecule and the polymer becomes cold water soluble 30. Table 2 shows a brief description on properties of synthetic superdisintegrants. Crospovidone It is completely insoluble in water. Rapidly disperses and swells in water. Greatest rate of swelling compared to other disintegrants. Greater surface area to volume ratio than other disintegrants. Available in micronized grades if needed for improving state of dispersion in the powder blend. Swelling index- 58±1.5% v/v. It is used in the range of 1-3% w/w. Croscarmellose sodium It is insoluble in water, although it rapidly swells to 4-8 times its original volume on contact with water. Specific surface area- 0.81-0.83 m2/g. Swelling index- 65±1.7% v/v. It may be used as a tablet disintegrant at concentration upto 5% w/w, although normally 2 % w/w is used in tablets prepared by direct compression and 3 % w/w in tablets prepared by wet-granulation process. Sodium starch glycolate Absorbs water rapidly, resulting in swelling up to 6%. High concentration causes gelling and loss of disintegration. Swelling index- 52±1.2% v/v. It is used in the range of 4-6%. Above 8%, disintegration times may actually increase due to gelling and its subsequent viscosity producing effects. Effective in lower concentrations than starch. Less effect on compressibility and flow ability. Some are anionic and may cause some slight in-vitro binding with cationic drugs (not a problem in-vivo) 33. An acidic medium significantly reduces the liquid uptake rate and capacity of sodium starch glycolate and croscarmellose sodium, but not crospovidone 34, 35. The degree of swelling of Primojel1 (sodium starch glycolate) and Polyplasdone XL101 (crospovidone) is minimized following wet granulation formulation. Finally, the medium ionic strength was found to have an adverse effect on the swelling capacity of croscarmellose 36, 37. Therefore, natural superdisintegrants serve as a better alternative to overcome the shortcomings of these superdisintegrants 33. Natural superdisintegrant: Today, we have a number of plant-based pharmaceutical excipients and various researchers have explored the utility of some of these plant-based materials as pharmaceutical superdisintegrants 38. Plant products serve as an alternative to synthetic products because of local accessibility, eco‐friendly nature, bio-acceptable, renewable source and lower prices compared to important synthetic products. Majority of investigations on natural polymers for disintegrant activity are centered on polysaccharides and proteins, due to their ability to produce a wide range of materials and properties based on their molecular structures 39. Polysaccharide hydrocolloids including mucilages, gums and glucans are abundant in nature and generally found in many higher plants. Mucilages are merely secondary plant metabolites, but due to the high concentration of hydroxyl groups in the polysaccharide, mucilages generally have a high water-binding capacity and this has led to studies of their role in plant water relations. It has been suggested that the ability of mucilage to hydrate may offer a mechanism for plants to resist drought 40. Therefore, natural gums and mucilages have been widely explored as disintegrants. Mucilages and gums are well known since ancient times for their medicinal use. In modern era they are widely used in pharmaceutical industries as thickeners, water retention agents, suspending agents and superdisintegrants. Mucilage is glutinous substance which mainly consists of polysaccharides, proteins and uranides. Dried up mucilage or the concentrated mucilage is called as Gum. The main difference between them is that mucilage does not dissolve in water whereas gum dissolves in water. Mucilage is formed in the normal growth of plant by mucilage secreting glands. Naturally the demand of these substances is increasing and new sources are tapped. India due to geographical and environmental positioning has traditionally been a good source for such products. Some of the examples of mucilages and gums, used as superdisintegrants, are listed below 41, 42. Hibiscus rosa-sinensis Linn. Mucilage: Hibiscus rosa-sinensis Linn of the Malvaceae family is also known as the shoe‐flower plant, China rose, and Chinese hibiscus. The plant is available in India in large quantities and its mucilage has been found to act as a superdisintegrant. The plant contains cyclopropanoids, methyl sterculate, methyl‐2‐hydroxysterculate, 2‐hydroxysterculate malvate and β‐rosasterol. The leaves contain carotene (7.34 mg/100 g of fresh material) moisture, protein, fat, carbohydrate, fibers, calcium, and phosphorus. Mucilage of Hibiscus rosa-sinensis contains L‐rhamnose, D‐galactose, D‐galactouronic acid, and D‐glucuronic acid. The percentage yield of mucilage is estimated as 17%. Other physicochemical parameters of mucilage are also evaluated. The results of swelling ratio, angle of repose, bulk density and compressibility index are observed as 9, 26.5oC, 0.65g/cc, 16% respectively 42, 43. Isapghula Husk Mucilage (Plantago ovata): Isapghula Husk consists of dried seeds of the plant known as plantago ovata. The plant contains mucilage in the epidermis of the seeds. Mucilage of plantago ovata has various characteristics like binding, disintegrating and sustaining properties. Mucilage can be used as superdisintegrant to formulate fast dissolving tablets because it has very high percentage of swelling index (around 89±2.2%v/v) as compared to the other superdisintegrating agents. The rapid disintegration of the FDTs is due to the swelling of superdisintegrants to create enough hydrodynamic pressure for quick and complete disintegration of the tablet. The rate at which swelling develops and significant force of swelling also determine its disintegrating efficiency 44-46. Cucurbita maxima pulp powder: Cucurbita maxima fruit was cleaned with water to remove dust from surface and further peel was removed. The seed was removed and pulp was put into juicer mixer to form highly viscous liquid. This was further lyophilized to get solid porous mass. Size reduction was done and powder was collected. The collected powder was passed through 80 # sieve and stored for further study. Study revealed that Cucurbita maxima pulp powder have comparable dissolution behaviour to that of sodium starch glycolate. It also has comparable hardness and friability thus the naturally obtained Cucurbita maxima pulp powder stands as a good candidate to act as disintegrant and it is possible to design promising Fast disintegrating tablet using this polymer 47. Lepidium sativum Seed Mucilage: Natural Lepidium sativum (family: Cruciferae), also known as asaliyo, has wide application in pharmaceutical field as disintegrating agent and as herbal medicine. Seeds contain a higher proportion of mucilage, dimeric imidazole alkaloids lepidine B, C, D, E and F and two new monomeric imidazole alkaloids semilepidinoside A and B. The mucilage can be extracted from seeds by different procedures and its yield varies from 14% to 22%. Mucilage of Lepidium sativum has various characteristic like binding, disintegrating, gelling etc. The extracted mucilage is used to develop fast dissolving tablets. Mucilage is found to be a brownish white powder which decomposes above 200oC and have characteristic odour. On evaluating its various physicochemical characteristics, the values of swelling index, angle of repose, bulk density and tapped density are estimated as following 18, 32oC, 0.58g/cc and 0.69g/cc respectively 48, 49. Fenugreek Seed Mucilage: Trigonella Foenum-graceum (family Leguminosae), commonly known as Fenugreek, is an herbaceous plant of the leguminous family. It is one of the oldest cultivated plants and has found wide applications as a food, a food additive, and as a traditional medicine in every region. Fenugreek seeds contain a high percentage of mucilage which can be used as disintegrant for use in mouth dissolving tablet formulations. Mucilage is an off white-cream yellow coloured amorphous powder that quickly dissolves in warm water to form viscous colloidal solution. Its physicochemical parameters are studied and found to have 22.25oC, 0.64g/cc, 15.20% values as angle of repose, bulk density and compressibility index respectively 41. Chitosan: Chitosan is a natural polymer obtained by deacetylation of chitin which is the second most abundant polysaccharides in nature after cellulose. Superdisintegrant property of chitosan has been utilized to develop a fast mouth dissolving tablet by utilizing a novel method of treatment as shown in table 3. Similar to the other superdisintegrants chitosan too generously engulf water when in contact with aqueous media and burst due to the pressure exerted by their capillary action thereby impart instantaneous disintegration of the dosage form and resulting in formation of a uniform dispersion in the surrounding media which behave like a true suspension formed inside the body leading to rapid and complete absorption of drug 50. Lepidium Sativum Nimesulide Direct compression Disintegration time of 17 sec. and mean dissolution time 5.27 sec. at 10% w/w concentration, found better than other synthetic disintegrants like Ac-di-sol and SSG. Hibiscus rosa-sinensis Linn. mucilage powder Aceclofenac Direct compression At concentration of 6 % w/w showed disintegration time of 20 sec. 4 % w/w. while croscarmellose sodium shows disintegration time of 28 sec. at optimum concentration (8%). Chitosan Cinnarizine Wet granulation Good mouth feel and disintegration time of 60 sec. at the level of 3 % w/w. Mucilage of natural origin is preferred over semi-synthetic and synthetic substances because they are comparatively cheaper, abundantly available, non-irritating and nontoxic in nature. Gums: Gums have been used as disintegrants because of their tendency to swell in water. They can perform good disintegration characteristics (2-10% w/w of tablet weight) and the amount of gum must be carefully titrated to determine the optimum level for the tablet. Gums, which are commonly used as disintegrants consist of guar gums, karaya, gellan, agar, pectin and tragacanth 9. Guar Gums: Guar gum is naturally occurring guar seed extract, containing about 80% of galactomannan (guaran), 10% moisture, 5-7% protein and trace amounts of heavy metals and ash. It is free flowing, completely soluble, neutral polymer and is approved for use in food. It is not sensitive to pH, moisture contents or solubility of the tablet matrix. It is not always pure white and sometimes varies in color from off-white to tan tends to discolour with time in alkaline tablets. As a disintegrant, guar gum has been found to be superior to some common disintegrants such as corn starch, celluloses, alginates and magnesium aluminium silicate. Particle size can affect disintegration, with finer particle sizes having greater disintegrating capabilities. It is available in the market under the trade name jaguar 24, 53. Gellan Gums: Gellan gum is a linear anionic polysaccharide, biodegradable polymer produced by the microbe Pseudomonos elodea consisting of a linear tetrasaccharide repeat structure and used as a tablet disintegrant. Gellan polymer consists of monosaccharide α-L-rhamnose, β-D-glucuronic acid and β-D-glucose in molar ratio of 1:1:2 linked together to form a linear primary structure. The disintegration of tablet might be due to the instantaneous swelling characteristics of gellan gum when it comes into contact with water and owing to its high hydrophilic nature. In a study, the complete disintegration of tablet was observed within 4 minutes with gellan gum concentration of 4 % w/w and 90 % of drug dissolved within 23 minutes 24, 54. Gum Karaya: Karaya has the natural gum exudates from the traces of Sterculiaurens belonging to family sterculiacea. Chemically the gum has an anionic polysaccharide, containing 43%. D-galacturonic acid, 13% D-galactose and 15 percent L-rhamnose. It absorbs water and swells to 60-100 times their original volume. The high viscosity nature of gum limits its uses as binder and disintegrant in the development of conventional dosage form 9, 53. Agar: Agar is the dried gelatinous substance obtained from Gelidium amansii (Gelidanceae) and several other species of red algae like, Gracilaria (Gracilariaceae) and Pterocadia (Gelidaceae). Agar is yellowish gray or white to nearly colorless, odorless with mucilaginous taste and is accessible in the form of strips, sheet flakes or coarse powder. Agar consists of two polysaccharides as agarose and agaropectin. Agarose is responsible for gel strength and Agaropectin is responsible for the viscosity of agar solutions. It is a potential candidate to act as a disintegrant due to its high gel strength 55. Gums are used in concentration from 1 to 10%. However, these are not as good disintegrating agents as others because capacity development is relatively low. Starch: Starch is the oldest and probably the most widely used disintegrant in the pharmaceutical industry. The mode of action of starch is that the disintegrant forms pathways throughout the tablet matrix that enable water to draw into the structure by capillary action, thus leading to disruption of tablet 24. Regular cornstarch USP has certain limitation and has been replaced to some extent by modified starches with specialized characteristics to serve specific functions. Studies have shown that starches, in their various forms, have a variety of swelling abilities, which may be responsible for the different disintegration and dissolution times reported by Kottke et al 10. Pregelatinized Starch (Starch 1500): Pregelatinized starch is a modified starch prepared from potato starch and is used as disintegrant in dispersible tablets due to its superior swelling capacity. It is a directly compressible form of starch consisting of intact and partially hydrolyzed ruptured starch grains. As it has been chemically or mechanically processed to rupture all or part of the granules in water, it has multiple uses in formulations as a binder, filler and disintegrant. As a disintegrant, its effective use concentration is between 5-10%. Its major mechanism of action as a disintegrant is thought to be through swelling 31, 33. Microcrystalline Cellulose: Microcrystalline cellulose is purified, partially depolymerized cellulose that occurs as a white, odourless, tasteless, crystalline powder composed of porous particles. It exhibits very good disintegrant property when present in a concentration of between 10-20%. It functions by allowing water to enter the tablet matrix by means of capillary pores, which break the hydrogen bonding between adjacent bundles of cellulose microcrystals. It has a fast wicking rate for water, hence this and starch makes an excellent combination for effective and rapid disintegration in tablet formulation. To develop a rapidly disintegrating tablet, a mixture of MCC and L-HPC in the range of 8:2-9:1 showed shortest disintegration time. It is commercially available in different particle sizes and moisture grades that have different properties and applications as Avicel pH - 101, pH - 102, pH – 105 26, 33. Alginates: Alginates are hydrophilic colloidal substances extracted from certain species of Kelp. Chemically they are available as alginic acid or sodium salt of alginic acid. Alginic acid is a polymer derived from seaweeds comprising D-mannuronic and L-glucoronic units. Its affinity for water absorption and high sorption capacity make it an excellent disintegrant. Alginic acid is used as disintegrant at 1-5 % concentration while sodium alginate at 2.5-10 % concentration. It can be successfully used with ascorbic acid, multivitamins formulation 24. Chitin: These are obtained from marine sources. Chitin, a structural constituent in the shells of crustacean and insects, has an acylated polyamine, which is biodegradable and non toxic. It is the most abundant natural polymer after cellulose. Tablets containing Chitin shows faster disintegration and better dissolution. Moisture sorption and water uptake was found the major mechanism of disintegration while dissolution related to swelling capacity. The main commercial sources of chitin are the shell wastes of shrimp, crab, lobster, krill and squid 56-57. Co-processed: New and improved superdisintegrants continue to be developed to meet the needs of advanced tablet manufacturing. It requires the development of various added functionality excipients, which are used to achieve formulations with desired end effects. Until now only superdisintegrants are available to prepare the dosage forms, but now days different blend of excipients are available which can give disintegration property. Some co-processed excipients blends are designed to satisfy the need of more than one excipient. Coprocessed blends of excipients: It involves the mixture blend of more than two excipients to satisfy the required quality using different technique like spray drying and freeze drying etc. Ludiflash: Ludiflash is an innovative, unique co-processed blend of mannitol (95%), crospovidone (5%) and polyvinyl acetate (5%) manufactured in a validated patented process 58. It disintegrates rapidly within seconds with soft, creamy consistency. It is specially designed for direct compression on standard high speed tablet machine for hard tablet with very low friability. It gives extremely fast release rate 25, 59. F-melt: F-MELT® is a spray-dried excipient used in orally disintegrating tablets that contain saccharides, disintegrating agent, and inorganic excipient 60. F-MELT exhibits excellent tabletting properties and facilitates rapid water-penetration for a fast disintegration time. Pharmaburst: Pharmaburst is a Quick Dissolving delivery system in which there is addition of active drug in a dry blend with Pharmaburst excipients and compress by tablet machine. Pharmaburst is a co-processed excipient system with specific excipients, which allows rapid disintegration and low adhesion to punches 25, 61. Modified chitosan with silicon dioxide: This is the new excipients based on co-precipitation of chitosan and silica. The physical interaction between chitosan and silica create an insoluble, hydrophilic highly absorbent material, resulting in superiority in water uptake, water saturation for gelling formation. Studies have shown that chitosan–silica delivers superior performance in wet granulation formulations and is the only disintegrant that is effective at all concentrations in tablet formulation 62. Pearlitol 200 SD: These are the granulated mannitol white, odourless, slightly sweet tasting, crystalline powder. It has a unique blend of exceptional physical and chemical stability, with great organoleptic, non-carcinogenic, sugar-free properties. Together with its versatile powder properties, it can be used in different processes wet or dry granulation, direct compression, compaction or freeze-drying. It has properties like flowable, excellent compressibility, non-hygroscopic, excellent chemical stability. Pearlitol SD dissolves very rapidly because of its porous crystalline particles 25. Mannogem EZ: Mannogem EZ is spray dried Mannitol, specially designed for direct compression tablet. It has advantages of highly compatible, non hygroscopic, chemically inert, narrow particle size distribution and mainly rapid disintegration property benefits quick dissolve application. It is highly stable and inert to many of the chemical reactions which are problematic with lactose, microcrystalline cellulose, or starch 63, 64. Polacrilin Potassium (Tulsion 339): It is a crosslinked polymer of methacrylic acid and divinylbenzene supplied as the potassium salt 65. Polacrilin potassium is weakly acidic cation exchange resin. On wetting, the resin swells by approximately 150%, thereby causing the tablet to disintegrate. Tablet disintegration property is due to its extremely large swelling capacity in aqueous solutions. Water can exert force between particles within tablet pores, but this force is low. This is used effectively at 1-2% of solid dosage forms. It is bio-compatible and non-toxic. It is available in various grades i.e., tulsion-335, tulsion-344, tulsion-345 and tulsion-412 66. Glucidex IT: Glucidex IT is obtained by moderate hydrolysis of starch 67. It is micro granulated form enables almost instantaneous dispersal and dissolution in water. Different range of Glucidex IT products is available 25. Table 4 presents applications of Coprocessed excipients in pharmaceutical field. Ludiflash Have mild sweet taste and cooling effect in the mouth. Have superior flowability and low hygroscopicity. Does not dissolve completely in water or organic solvents. Excellent excipient for direct compression of fast-disintegrating solid oral dosage forms for rapid release. F-melt Highly flowable with spherically dense particles, disintegration time within 30 seconds, time-saving and cost-effective, less sticking or capping. Suitable for direct compression manufacturing of fast-dissolving oral tablets containing APIs and lubricants. Pharmaburst Easy-to-use quick dissolving delivery platform, it is smooth and creamy and is highly compatible. Gives flexibility to develop robust “Quick Dissolve” formulations in-house, at a reasonable cost. Modified chitosan with silicon dioxide Water wicking and swelling properties with improved flow and compaction properties. Acts as superdisintegrant and filler. Pearlitol SD Spheronised granulated mannitolPearlitol® 100SD, mean diameter: 100 μmPearlitol® 200SD, mean diameter: 180 μmSweetening power about 40% that of sucrose. Excellent excipient for direct compression especially for chewable and effervescent tablets. Ideal for formulation of unstable or moisture sensitive actives, sugar free diluent for capsules and sachets. Mannogem EZ Excellent compressibility due to its open crystal-line structure. Sweetening power about 50% that of sucrose Quick dissolve application and an excellent carrier for active moieties which are sensitive to hydrolysis. Polacrilin Potassium No lump formation after disintegration.High compatibility with excipients and common therapeutic agent. Used as a tablet disintegrant and as a taste-masking agent for various drugs. Glucidex IT Free-flowing due to fewer fine particles, quick dispersion, and quick dissolution. Used as diluent for tablet, capsule, spray drying carrier, direct compression maltodextrin which would be used for directly compressible formulation of vitamins and supplement tablets. All coprocessed and modified excipients are playing a vital role in the development of easy dosage forms which are resistant to atmosphere. The improved physical, chemical and mechanical properties of such excipients as compared to existing excipients, have helped in solving formulation problems such as flowability, compressibility, hygroscopicity, palatability, dissolution, disintegration, sticking, and dust generation. CONCLUSION: With the increase demand of novel drug delivery, the fast disintegrating drug delivery system has become one of the mile stone of present investigations. Although, there are many superdisintegrants, the search for newer disintegrating agents is ongoing and researchers are experimenting with modified natural products like formalin casein, chitin, chitosan, polymerized agar acrylamide, xylan, smecta, key-jo-clay, crosslinked carboxymethyl guar, mango peel pectin, cassia tora, cassia nodosa and modified tapioca starch etc. Studies have suggested that the water insoluble superdisintegrants show better disintegration property than the slightly water soluble agents, since they do not have a tendency to swell. Superdisintegrants that tend to swell show slight retardation of the disintegration property due to formation of viscous barrier. Therefore, in coming era, there is going to be continued interest for the development of natural polymers based orally disintegrating tablets. The future trends in innovations of drug delivery systems will continue to bring together different technological disciplines and formulation aspects to create novel technologies. ACKNOWLEDGEMENT: Professor Om Prakash, Dean and Director, Institute of Pharmaceutical Sciences, Kurukshetra University, Kurukshetra, India is duly acknowledged for providing necessary facilities. Dr. Kanchan Kohli, Faculty of Pharmacy, Jamia Hamdard, New Delhi, India is acknowledged for her valuable suggestions. Bandari S, Mittapalli RK, Gannu R and Rao YM: Orodispersible tablets: an Asian Journal of Pharmaceutics 2008; 2(1): 2-11. Konapure AS, Chaudhari PS, Oswal RJ, Kshirsagar SS, Antre RV and Chorage TV: Mouth dissolving tablets-an innovative technology. International Journal of Applied Biology and Pharmaceutical Technology 2011; 2(1): 496-503. Pahwa R, Piplani M, Sharma PC, Kaushik D and Nanda S: Orally disintegrating tablets – friendly to pediatrics and geriatrics. Archives of Applied Science Research 2010; 2(2): 35-48. Kumar MV, Sethi P, Kheri R, Saraogi GK and Singhai AK: Orally disintegrating tablets: a review. 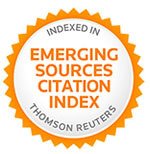 International Research Journal of Pharmacy 2011; 2(4): 16-22. Giri TK, Tripathi DK and Majumdar R: Formulation aspects in the development of orodispersible tablets: an overview. International Journal of Pharmacy and Pharmaceutical Sciences 2010; 2(3): 38-42. Agrawal VA, Rajurkar RM, Thonte S and Ingale RG: Fast disintegrating tablets as a new drug delivery system: a review. Pharmacopohore (An International Research Journal) 2011; 2(1): 1-8. Siddiqui Md.N, Garg G and Sharma PK: Fast Dissolving Tablets: Preparation, Characterization and Evaluation: an overview. International Journal of Pharmaceutical Sciences Review and Research 2010; 4(2): 87-96. Hirani JJ, Rathod DA and Vadalia RK: Orally disintegrating tablets: a review. Tropical Journal of Pharmaceutical Research 2009; 8(2): 161-172. Bhowmik D, Chiranjib B, Yadav J, Chandira RM and Kumar S: Emerging trends of disintegrants used in formulation of solid dosage form. Scholars Research Library Der Pharmacia Lettre 2010; 2 (1): 495-504. Alebiowu G and Itiola OA: The Influence of pregelatinized starch disintegrants on interacting variables that act on disintegrant properties. Pharmaceutical Technology 2003; 28-33. Goel H, Vora N and Rana V: A novel approach to optimize and formulate fast disintegrating tablets for nausea and vomiting. AAPS PharmSciTech 2008; 9(3): 774-781. Mohanachandran PS, Sindhumol PG and Kiran TS: Superdisintegrants: an overview. Journal of Pharmaceutical Sciences Review and Research 2011; 6(1): 105-109. Vaibhav S, Mahaveer PK, Gupta MK, Agarwal D and Sharma N: Orally disintegrating tablet: friendly dosage form. International Journal of Research in Ayurveda and Pharmacy 2010; 1(2): 399-407. Ghosh T, Ghosh A and Prasad D: A review on new generation orodispersible tablets and its future prospective. International Journal of Pharmacy and Pharmaceutical Sciences 2011; 3(1): 1-7. Velmurugan S and Vinushitha S: Oral disintegrating tablets: an overview. International Journal of Chemical and Pharmaceutical Sciences 2010; 1(2): 1-12. Khan T, Nazim S, Shaikh S, Shaikh A, Khairnar A and Ahmed A: An approach for rapid disintegrating tablet: a review. International Journal of Pharmaceutical Research and Development 2011; 3(3): 170-183. Deshmukh KR, Vidyanand P, Shekhar V, Kumar PA and Dewangan P: A review on mouth dissolving tablet techniques. International Journal of Research in Ayurveda and Pharmacy 2011; 2(1): 66-74. Arya A and Chandra A: Fast drug delivery systems: a review. Scholars Research Library 2010; 2(2): 350-361. Bhardwaj S, Jain V, Sharma S, Jat RC and Jain S: Orally disintegrating tablets: a review. Drug Invention Today 2010; 2(1): 81-88. Belet MH and Derle DV: Analysis of patents pertaining to superdisintegrants used in tablet manufacturing. Journal of intellectual Property Rights 2008; 13: 601-604. Omidian H and Park K: Swelling agents and devices in oral drug delivery. Journal of Drug Delivery Science and Technology 2008; 18 (2): 83-93. Iyad R, Mayyas AR, Eftaiha AA and Badwan A: Chitin-silicon dioxide coprecipitate as a novel superdisintegrant. Journal of Pharmaceutical Sciences 2008; 97(11): 4955-69. Kumaran AK, Sreekanth J and Palanisamy S: Formulation, development and evaluation of Levodopa-Carbidopa orally disintegration tablets. Journal of Chemical and Pharmaceutical Research 2011; 3(3): 169-175. Uddhav S Bagul. (2006). Current status of tablet disintegrants: a review. Retrieved March 5, 2011 from Pharmainfo.net. http://www.pharmainfo.net/reviews/current-status-tablet-disintegrantsa-review. Chaudhary SA, Chaudhary AB and Mehta TA: Excipients updates for orally disintegrating dosage forms. International Journal of Research in Pharmaceutical Sciences 2010; 1(2): 103-207. Raymond CR: Handbook of Pharmaceutical Excipients. APhA Publishers, Fifth Edition 2006. Polyplasdone superdisintegrants product overview. ISP Pharmaceuticals. April 11, 2011. < http://www.anshulindia. com/ pdfs/polyplasdone%20Lit.pdf>. Goel H, Rai P, Rana V and Tiwary AK: Orally disintegrating systems: innovations in formulation and technology. Recent Patents on Drug Delivery & Formulation 2008; 2: 258-274. Camarco W, Ray D and Druffner A: Selecting superdisintegrants for orally disintegrating tablet formulations. Pharmaceutical Technology Supplement 2006. Superdisintegrants: an introduction to chemistry and performance. April 12, 2011. <http://www.dmvfonterraexcipients.com/products/~/media/DFEA18D0FB9945A984F16949D2B56B95.ashx>. Newman AW, Mueller RL, Vitez IM and Kiesnowski CC: Starch and starch derivatives. Encycolpedia of Pharmaceutical Technology, Informa Healthcare USA 2007. GK Bolhuis, AW Arends-Scholte, GJ Stuut and JA de Vries: Disintegration efficiency of sodium starch glycolates prepared from different native starches. European Jounal of Pharmaceutics and Biopharmaceutics 1994; 40(5): 317 – 320. John C Carter. (2002-06). The role of disintegrants in solid oral dosage form manufacturing. Carter Pharmaceutical Consulting, Inc. Retrieved March 25, 2011 from http://www.carterpharma ceutical consulting.com/articles/The-role-of-disintergrants. html. Chen CR, Lin YH, Cho SL, Yen SY and Wu HL: Investigation of the dissolution difference between acidic and neutral media of Acetaminophen tablets containing a super disintegrant and a soluble excipient. Chem Pharm Bull 1997; 45: 509–512. Zhao N and Augsburger LL: The influence of swelling capacity of super disintegrants in different pH media on the dissolution of Hydrochlorothiazide from directly compressed tablets. AAPS PharmSci-Tech 2005; 6: 120–126. Bussemer T, Peppas NA and Bodmeier R: Evaluation of the swelling, hydration and rupturing properties of the swelling layer of a rupturable pulsatile drug delivery system. European Journal of Pharmaceutics and Biopharmaceutics 2003; 56: 261–270. Zhao N and Augsburger LL: The influence of granulation on super disintegrant performance. Pharm Dev Technol 2006; 11: 47–53. Kumar R, Patil MB, Patil SR and Paschapur MS: Evaluation of Anacardium occidentale gum as gelling agent in aceclofenac gel. International Journal of PharmTech Research 2009; 1(3): 695-704. Yadav ND, Pingale PL and Tatane SR: Comparative study on effect of natural and artificial superdisintegrants in the formulation of fast dissolving aspirin tablet. Journal of Pharmacy Research 2010; 3(7): 1594-1597. Malviya R, Srivastava P and Kulkarni GT: Applications of mucilages in drug delivery – a review. Advances in Biological Research 2011; 5(1): 1-7. Kumar R, Patil S, Patil MB, Patil SR and Paschapur MS: Isolation and evaluation of disintegrant properties of Fenugreek seed mucilage. International Journal of PharmTech Research 2009; 1(4): 982-996. Shah V and Patel R: Studies on mucilage from Hibuscus rosasinensis as oral disintegrant. International Journal of Applied Pharmaceutics 2010; 2(1): 18-21. Halakatti PK, Omer S, Gulgannavar RS and Patwari PK: Formulation and evaluation of mouth disintegrating tablets of Famotidine by using Hibiscus rosa-sinensis mucilage and treated agar. International Journal of Research in Ayurveda and Pharmacy 2010; 1(2): 497-505. Shirsand SB, Sarasija S, Para MS, Swamy PV and Kumar DN: Plantago ovata mucilage in the design of fast disintegrating tablets. Indian Journal of Pharmaceutical Sciences 2009; IP: 210. 212. 120. 94. Srinivas K, Prakash K, Kiran HR, Prasad PM and Rao MEB: Study of Ocimum basilicum and Plantago ovata as disintegrants in the formulation of dispersible tablets. Indian Journal of Pharmaceutical Sciences 2003; 65(2): 180-183. Ghenge G, Pande SD, Ahmad A, Jejurkar L and Birari T: Development and characterisation of fast disintegrating tablet of Amlodipine besylate using mucilage of plantago ovata as a natural superdisintegrant. International Journal of PharmTech Research 2011; 3(2): 938-945. Malviya R, Srivastava P, Bansal M and Sharma PK: Preparation and evaluation of disintegrating properties of Cucurbita maxima pulp powder. International Journal of Pharmaceutical sciences 2010; 2(1): 395-399. Divekar VB, Kalaskar MG, Chougule PD, Redasani VK and Baheti DG: Isolation and characterization of mucilage from Lepidium sativum linn seeds. International Journal of Pharmaceutical Research & Development 2010; 2(1): 1-5. Mehta KK, Patel HH, Patel ND, Vora CN and Patel NJ: Comparative evaluation of natural and synthetic superdisintegrant for promoting Nimesulide dissolution for fast dissolving technology. International Journal of Pharmacy and Pharmaceutical Sciences 2010; 2(3): 102-108. Nagar M and Yadav AV: Cinnarizine orodispersible tablets: a Chitosan based fast mouth dissolving technology. 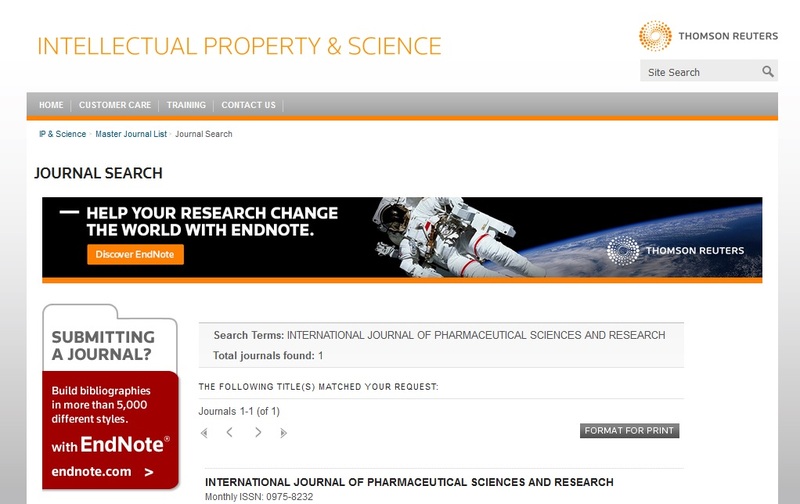 International Journal of PharmTech Research 2009; 1(4): 1079-1091. Kumar R, Shirwaikar AA, Shirwaikar A, Prabhu SL, Mahalaxmi R, Rajendran K and Kumar DC: Studies on disintegrant properties of seed mucilage of Ocimum gratissimum. Indian Journal of Pharmaceutical Sciences 2007; 69(6): 753-758. Rao NGR, Kulkarni U, Rao KD and Suresh DK: Formulation and evaluation of fast dissolving tablets of Carbamazepine using natural superdisintegrant Plantago ovata seed powder and mucilage. International Journal of Pharmacy and Pharmaceutical Sciences 2010; 2(2): 70-74. Shah B: Textbook of Pharmacognosy and Phytochemistry. Elsevier Health Sciences Publishers, First Edition 2009; 164-165. Shah DP and Jani GK: A newer application of physically modified Gellan gum in tablet formulation using factorial design. ARS Pharmaceutica 2010; 51(1): 28-40. Setia A, Goyal N and Kansal S: Formulation and evaluation of Ciprofloxacin hydrochloride dispersible tablets using natural substances as disintegrates. Pelagia Research Library Der Pharmacia Sinica 2011; 2(1): 36-39. Shaji J, Jain V and Lodha S: Chitosan: a novel pharmaceutical excipient. International Journal of Pharmaceutical and Applied Sciences 2010; 1(1): 11-28. Garnpimol CR, Parichat C, Sunibhond P and Piamsak M: Chitin and Chitosan as disintegrants in Paracetamol tablets. Drug Development and Industrial Pharmacy 1994; 20(13): 2109-2134. Pharmaceuticals and excipients – F-melt. May 25, 2011. <http://www.fujichemical.co.jp/english/medical/medicine/f-melt/index.html>. Pharmaburst quick dissolve delivery system for tablets. June 10, 2011. <http://www.spipharma.com/downloads/Products/DDS/Pharmaburst_C1/Pharmaburst-TB.pdf>. Barghouthi ME, Eftaiha A, Rashid I, Al-Remawi M and Badwan A: A novel superdisintegrating agent made from physically modified Chitosan with Silicon dioxide. Informa Health Care 2008; 34(4): 373-383. Excipients and carriers. Mannogem mannitol (2007) SPI Pharma. June 11, 2011. <http://www.spipharma.com/ default.asp?contentID=597>. Excipients and carriers. Mannogem EZ spray dried mannitol (2007) SPI Pharma. June 11, 2011. <http://www.spipharma.com /default.asp?contentID=639>. Suhagiya VK, Goyani AN and Gupta RN: Taste masking by ion exchange resin and its new application: a review. International Journal of Pharmaceutical Sciences and Research 2010; 1(4): 22-37. Parmaceutical resins- tulsion ion exchange resin (2009-10) Thermax Ltd. June 12, 2011. <http://www.thermaxindia.com/ Chemicals/Ion-Exchange-Resins/Speciality-Resins/ Pharmaceutical-Resins.aspx >. Glucidex – maltodextrin. June 12, 2011. <http://www.roquette-food.com/glucidex-maltodextrin-glucose-syrup-texturizer-powder-drinks/>.